Do you dream of clean and functional closet organization? There is nothing more annoying than trying to squeeze your clothes into a crammed full closet. Looking for a certain pair of pants turns into a treasure hunt when you don’t have enough space and organization in your closet. We will build you a room sized closet that will give you a place for every outfit and accessory plus a place for storing winter and summer seasonal clothes right there in the same closet. Or how about the kids’ room? Eliminate all the excuses for messy rooms by giving them the closet organization and storage they need for their clothes and toys. No more lugging heavy boxes up to the attic for winter and bringing them back down in the summer. You can have a wall for winter and a wall for summer with drawers and shelves galore. 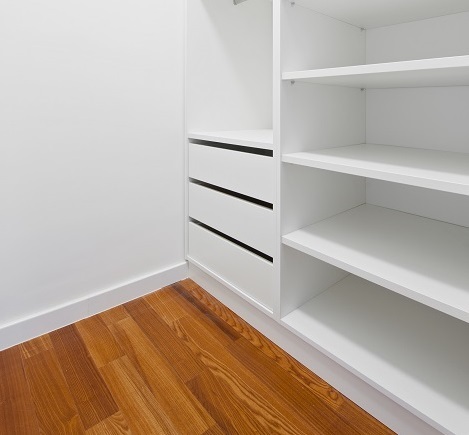 And plenty of room to hang your short dresses and longer dresses – so you can actually see what you own at a glance. Closet organization is only a consultation away. 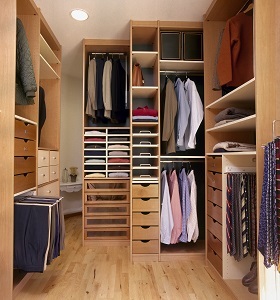 Tell us about your needs and wants and we will customize a closet for you.